Are you ready for the big Google mobile friendly update? Starting 21 April 2015, Google will extend it’s mobile-friendliness as a ranking factor affecting all mobile searches in all languages worldwide and will have a significant impact on search results. This is a follow-up to mass scale notifications in early January 2015 which urged webmasters to “Fix mobile usability issues”. Google’s Zineb Ait Bahajji from the Webmaster Trends team was quoted as saying at Search Marketing Expo in Munich on 17 March that the upcoming mobile-friendly ranking algorithm that will launch on 21 April will have more of an impact on Google’s search results than the Google Panda and Penguin updates had. This will have an impact on about 40% of mobile search queries, whereas Panda impacted about 12% of all English queries and Penguin was closer to 4% of global queries across both desktop and mobile. Mobile web browsing is set to overtake desktop browsing and Google intends to only send mobile users to functional, useable websites. 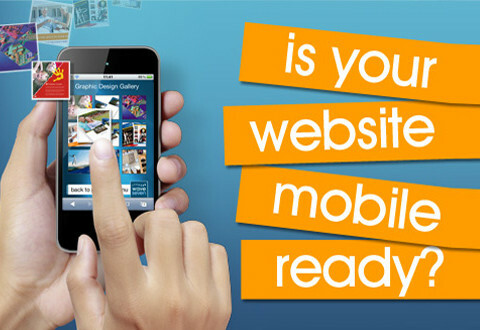 Google recently reported that about 50% of all searches performed through Google are on mobile devices. Google is in the business of putting good, relevant websites in front of users. Is Google going to penalise website owners with less traffic if they haven’t committed to making the browsing experience enjoyable for the end-user? The answer for now is going to be no. What is the risk of ignoring this update? If your site has issues to fix, you have until 21 April 2015 before Google will start “ranking accordingly”. It is hard to say exactly how this will affect websites, but as with previous Google updates there will be winners and losers.